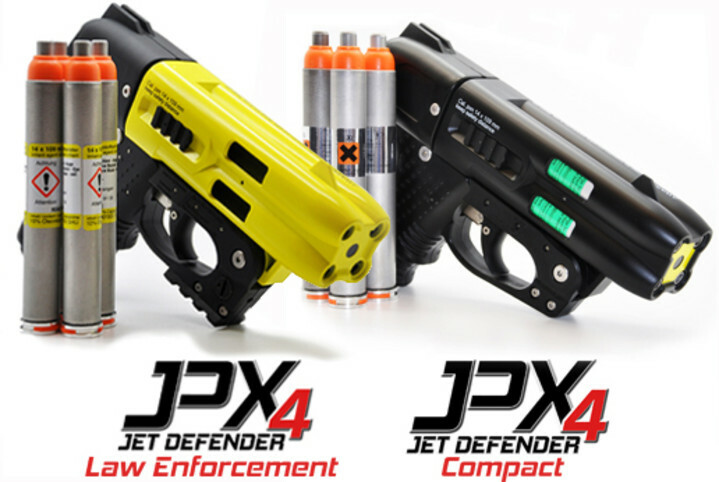 No other pepper spray gun grants you the type of reliability you can achieve with the JPX4 Shot Defender. The gun actually uses primers, making it a remarkably reliable weapon. It has even been certified by the US Bureau of Alcohol, Tobacco and Firearms as a non-firearm and requires no registration to purchase, carry or use in a self-defense situation. Cartridges are removable and fire a particularly debilitating chemical with 10% OC (oleoresin capsicum – the active agent in the compound). 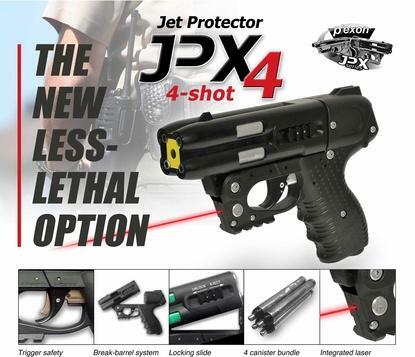 The JPX4 pepper spray gun with laser works just like a lethal gun so it won’t take too much time getting used to the feeling of the gun in your hand. This weapon has become a standard among security agencies throughout the US because of its reliability and effectiveness. It can hold up to four self-cleaning rounds enabling you to take multiple shots at once and reloading is quick and simple. Each round is loadable individually so you can reload even after firing the first round, ensuring you always have four rounds available in the gun. 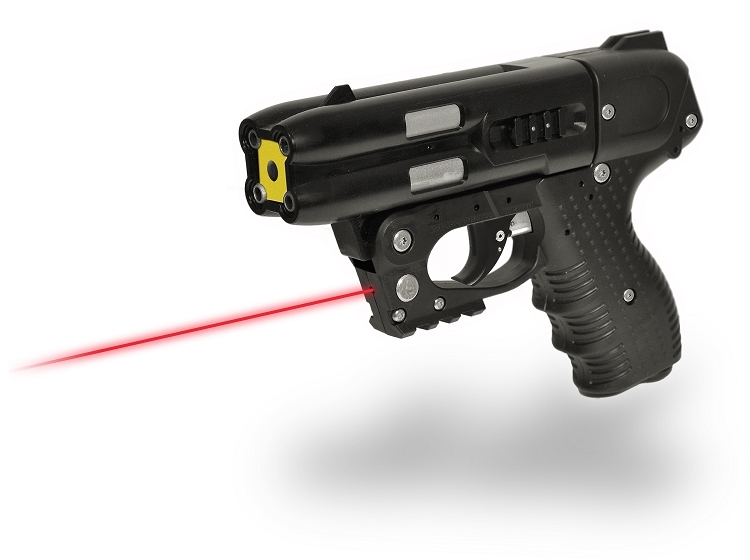 This advanced technology pepper spray gun is the ultimate in personal protection as you can carry it in places where lethal guns are not allowed, keeping you feeling safe at all times. The liquid in the pepper spray bullets disables an assailant instantly for up to 45 minutes to give you the time required to flee your attacker or for help to arrive. Even when fully loaded the gun only weighs 20 ounces so you barely feel the weight on you or in your purse. 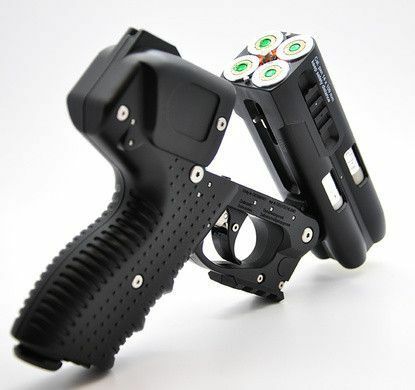 This is a pepper spray gun that police agents around the country depend on daily in their work so it is definitely a reliable tool that will keep you safe under all circumstances.